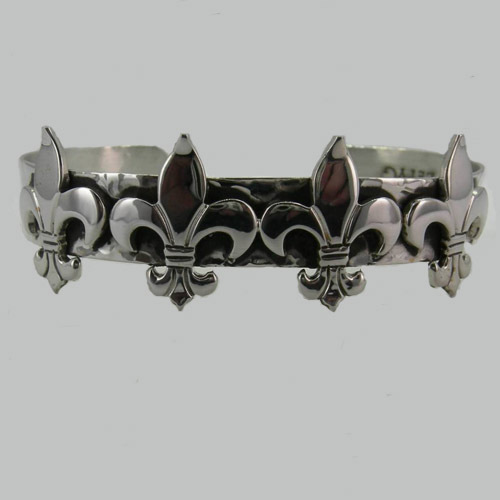 Desc: Sterling Silver fleur de lis cuff bracelet. 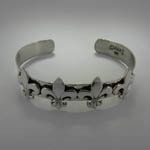 There are four fleur de lis mounted across the front of the bracelet. The four fleur de lis have bright polish finishes. The bracelet has hammered silver and bright polish finishes. The bracelet is signed by the artist.